The Undertaker missed Judgment Day because he took two months off after WrestleMania due to his wife at the time, Sara, giving birth to the couple’s second daughter. He returned to action in mid-June. 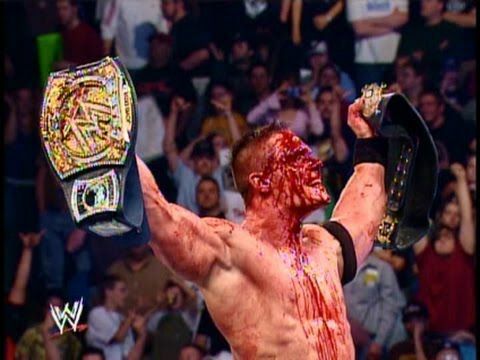 In terms of PPV buyrates, this show did 260,000 buys, which was lower than the biggest PPVs for this time period, but it’s actually the highest number Judgment Day did from 2004 to 2009, so I guess it could be considered a success. For comparison’s sake, when WWE was at its best in 2000, Judgment Day that year did 420,000 PPV buys. Analysis: It was a very over the top angle that got a lot of heat for WWE at the time because of the things that Angle said about what he wanted to do to Sharmell. It was WWE wanting to be edgy. I thought it went too far and was unnecessary in a lot of ways. Gutterslut? It wasn’t needed to tell the story. Analysis: *** Solid match to put over London as a credible Cruiserweight Champion by beating a veteran former champion like Guerrero. They told a good story with Guerrero working on the ribs for most of it, London came back and managed to get the win with his finisher. I thought they set up the finish well after the spot on the turnbuckle. What hurt London is that he wasn’t given a chance to show a personality. He had good matches, though. Analysis: Angle was moved to Raw in the draft lottery shortly after this to restart his feud with Shawn Michaels. Angle didn’t last that long on Raw because he was back on Smackdown in early 2006.